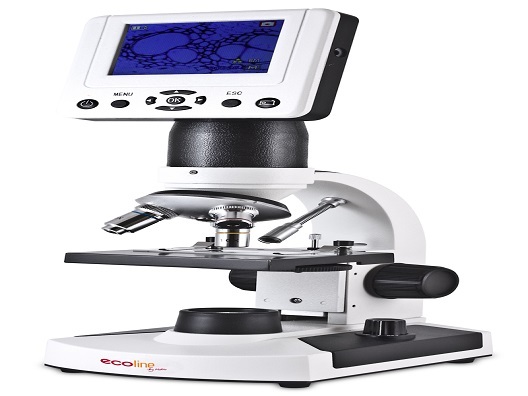 This EcoLine by Motic branded product is a digital microscope connected to the computer through a simple USB connection. With a live resolution of 2.0MP, the D-EL1 is perfect to introduce your students to the world around them. 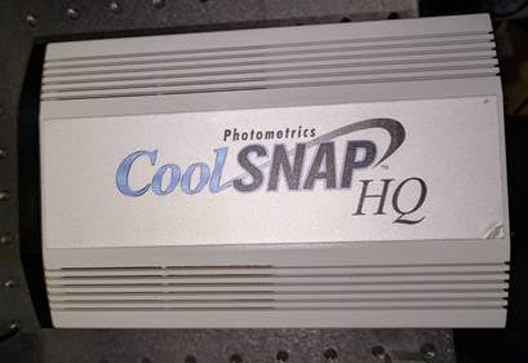 The simple plug and play connection means it is always at hand and can be used many aspects of the educational system. 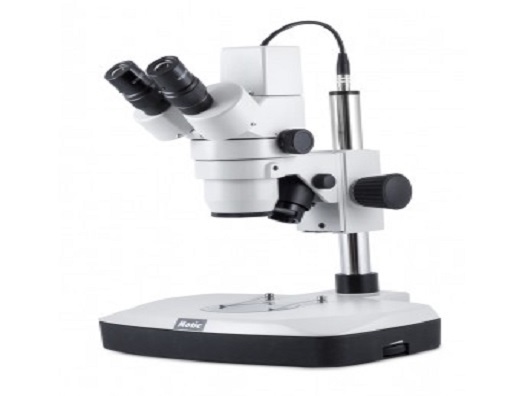 The versatility of this product also makes it a good tool for the hobby microscopist or for looking in-depth at coins or stamps. As a Motic-backed product the D-EL1 comes equipped with application software for capturing and editing images. 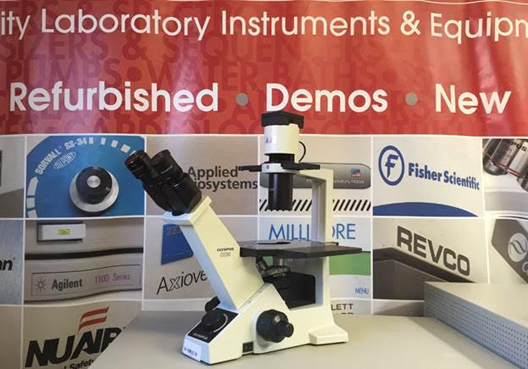 The second product in the EcoLine by Motic series is a digital microscope that can be viewed by more than one student at the same time. 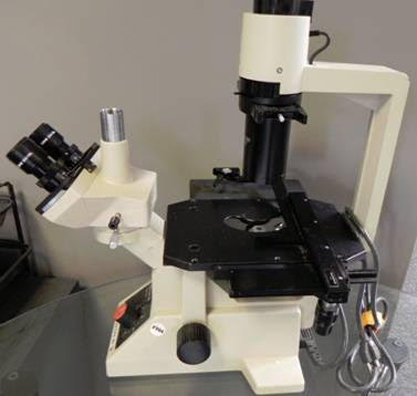 The bright and clear TFT screen mounted on the head of this glass-optics microscope serves as both a camera and a viewing platform. 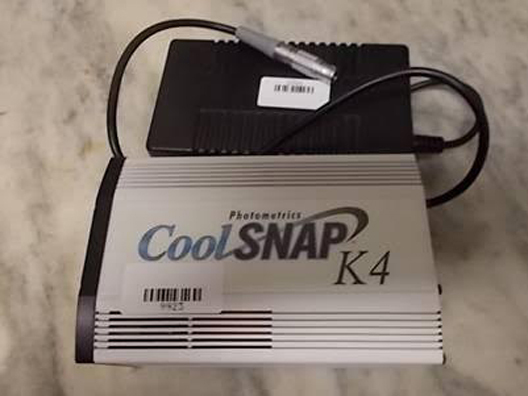 Capture still (5.0MP) images as well as Video onto the system's internal memory or onto an SD card that can be put into the microscope. The glass 4x, 10x and 40x(s) objectives provide clear images and adhere to normal educational standards. 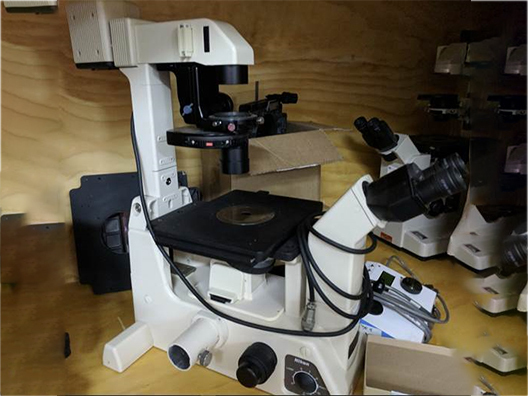 With the 4x objective, viewing of other specimens such as fabrics is made possible through the bright LED toplight, which is mounted on a flexible arm. 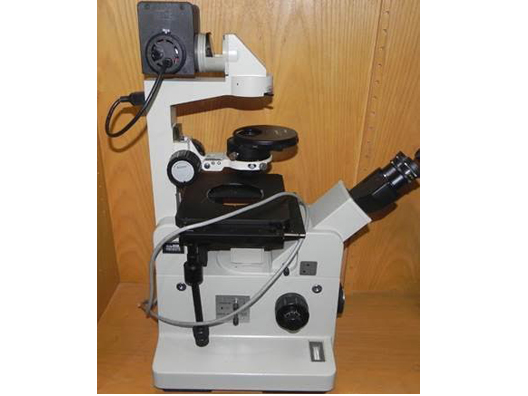 This is a simple but versatile microscope packed in a hard carrying case along with sample microscope slides. 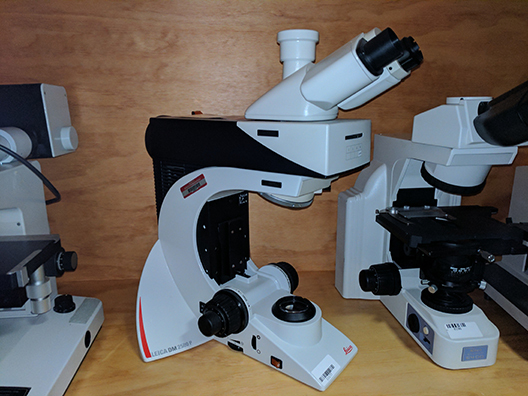 Because of its flexibility, the Leica DM2500 P meets the needs of both basic to advanced examinations where high-quality polarization equipment is required. We are selling this as just the stand without stage or objectives. 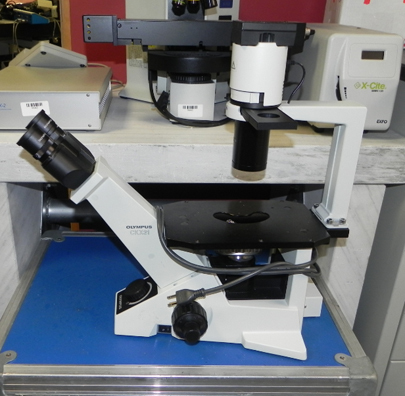 This digital stereo microscope is perfect for many levels of microscopy. 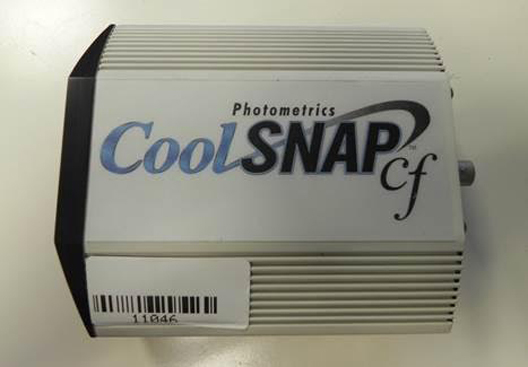 This series is equipped with image analysis software Motic Images Plus 2.0.